Have you started planning out your Christmas baking yet? 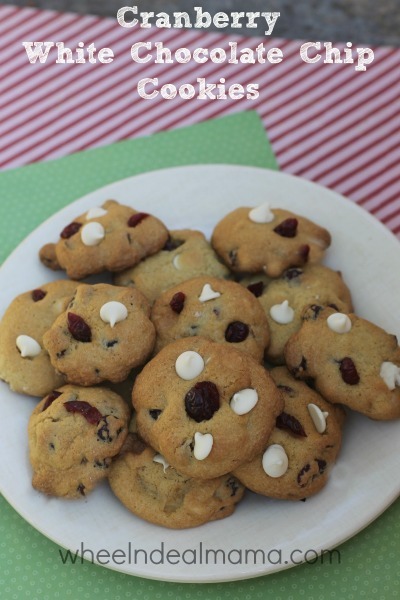 Be sure and add this yummy recipe to your list- Cranberry White Chocolate Cookies. 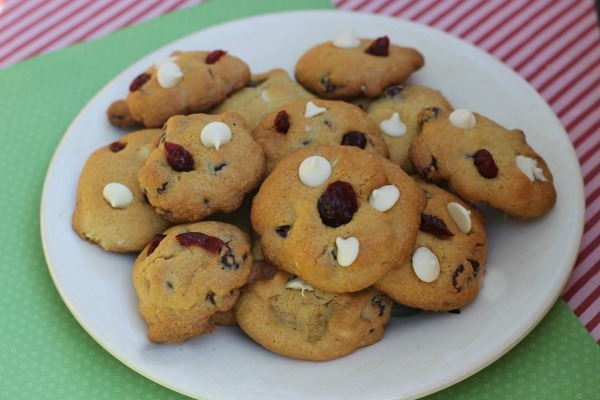 Dried cranberries give a holiday flavor and the white chocolate a richness to your cookies. Reduce the amount of chips and cranberries a bit and throw in some pecans or walnuts for a tasty crunch. If you are a baker or know someone else who loves to be in the kitchen grab a set of these silpat mats, I just ordered myself a set a couple weeks ago and love how easy they clean up (and I am not going through roll after roll of expensive parchment paper), the really make baking easier. Line a baking sheet with parchment paper or use a silpat mat. 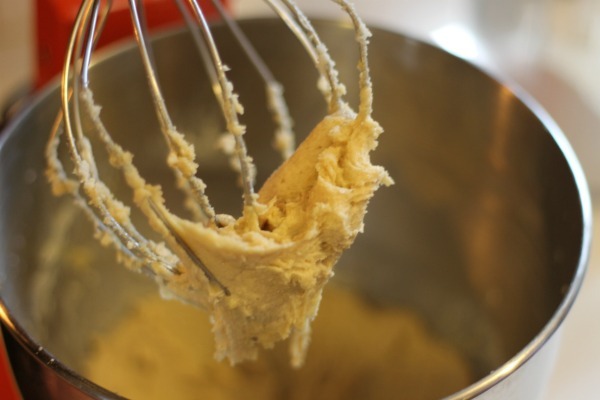 In a hand or stand mixer beat butter and sugars until fluffy. Add in egg and vanilla to mix. In a separate bowl stir together flour, salt, and baking soda. Combine flour mixture to wet ingredients a little at a time until fully incorporated. 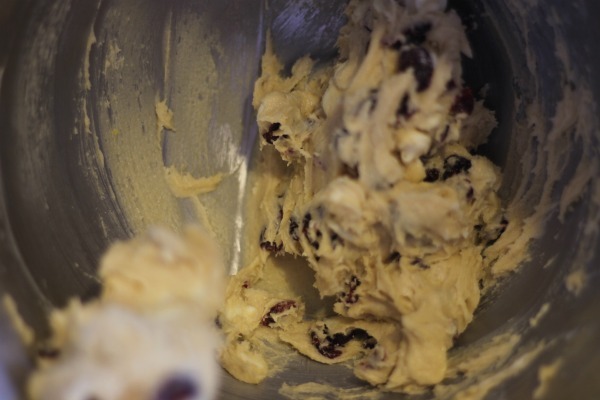 Fold in white chocolate chips and cranberries. Scoop spoonfuls 2″ apart on lined baking sheet. Bake for 8-10 minutes until tops are golden brown. Remove from oven and cool before storing in an airtight container.